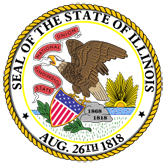 Press Release: Illinois Department of Veterans` Affairs flexible work time plan. 1. State of Illinois Department of Veterans` Affairs (DVAPublicAct87-552.pdf).